The idea of using someones death to promote an agenda (and asking a widow such questions is nothing else than promoting an agenda) is just sick. I’m glad to see she could rise above it and answer in such a beautiful way. Welllll I have to say, Carl Sagan was a very prominent person, so I’m sure Ann, being the gracious person she is, had no problem with it. She loved and adored him, so I’m sure she’s happy to speak about him, as he was, and is, a great inspiration to many people. I adore Ann Druyan, she is an inspiration also, and a true equal to her husband. Simply beautiful. Her words moved me. I had no idea that Ann Druyan shared such talents. Her writing and philosophy are still evidently shared with her husband. Look at this : I can tell that that they shared a great love. 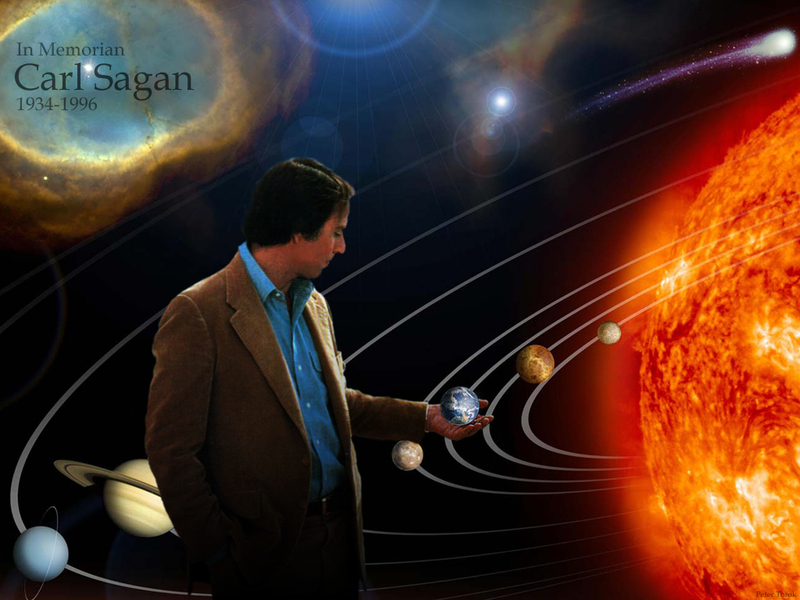 RIP Carl Sagan. I also miss Carl. What a great advocate for science. Wow, thats a beautiful and strong commentary. Very beautiful. It is remarkable all that “pure chance is so generous and kind ” resembles the working of a God.